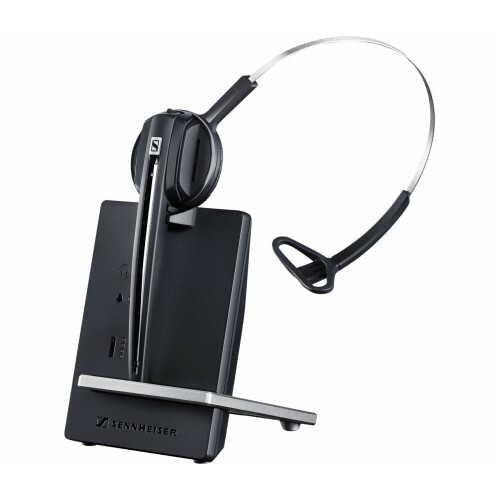 A stylish, single-sided DECT headset designed for intensive everyday use in contact centres, the Sennheiser D10 sports excellent wideband audio clarity and USB connectivity for compatibility with VoIP telephony systems. A lightweight and adjustable headset, it is comfortable and easy to use, while Sennheiser's ActiveGard technology helps to protect the user's hearing. 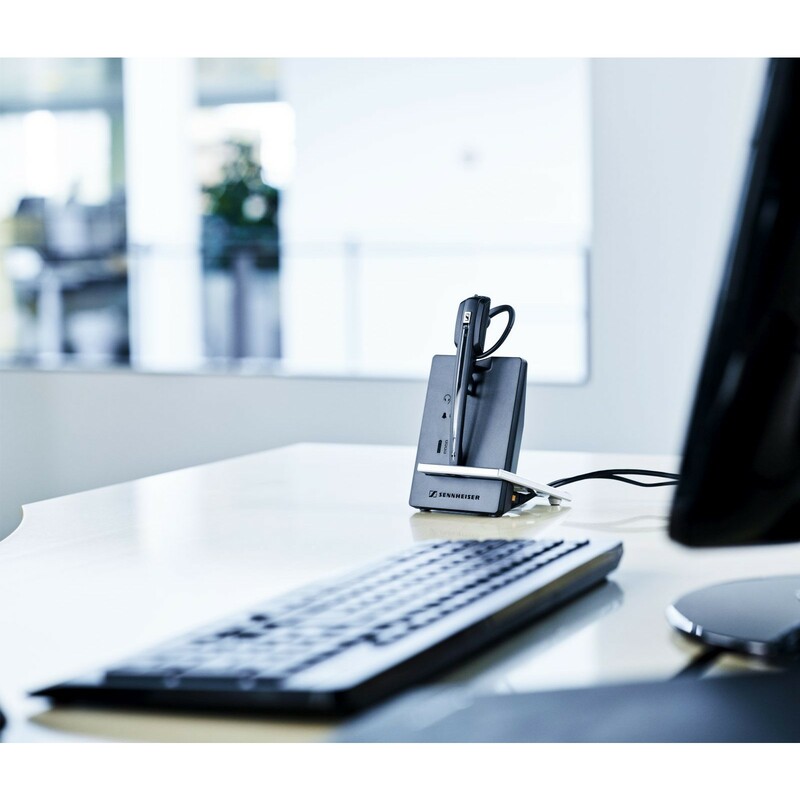 Designed with safety at work in mind, the Sennheiser D10 features acoustic shock protection to help normalise the decibels of phone calls and protect the wearer from sudden increases in volume. At the same time, users will be able to experience excellent speech clarity thanks to wideband audio and a noise-cancelling microphone that eliminates background noise during calls. Made from the highest quality materials with an ultra-light profile, the Sennheiser D10 is designed to be comfortable to wear throughout the working day. Users can also choose a wearing style that suits them best; either as a headband or as an ear hook. The Sennheiser D10 is equipped with a battery made to last for an entire working day on a full charge, and when seated in the charging dock, the battery will reach 50% power in only 20 minutes. 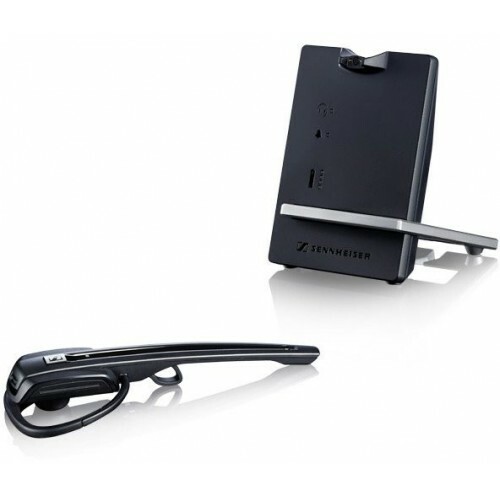 Users will also be able to enjoy complete wireless freedom up to a range of 55 feet in typical office environments. 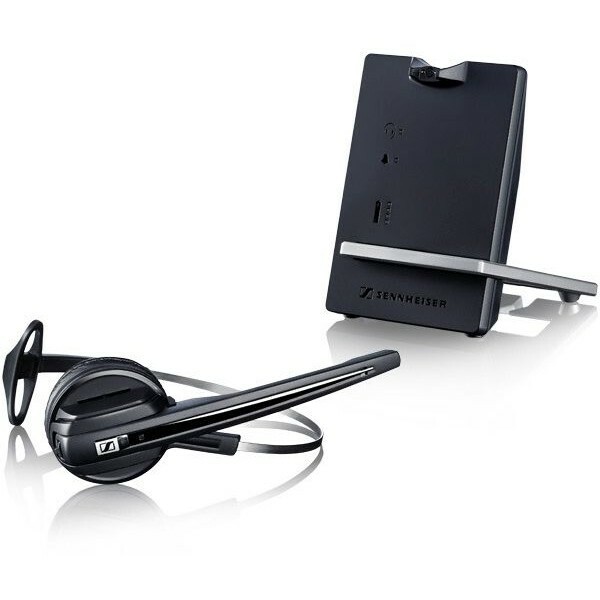 With USB connectivity and support for conference calling, the Sennheiser D10 presents the perfect solution for VoIP telephony environments.